Robin Sloan is the new M70 World Champion after a thrilling Long Distance Race in a damp Woodhill Forest, near Auckland. After two qualifying races Robin was seeded 8th in the final and managed to keep his head while the 7 seeded above him lost their’s. Robin took the lead towards the end of the course and finished 10 seconds in front of the silver medalist. The result made up for a slightly disappointing Sprint Final when he missed a medal by a mere 3 seconds. Well done Robin. 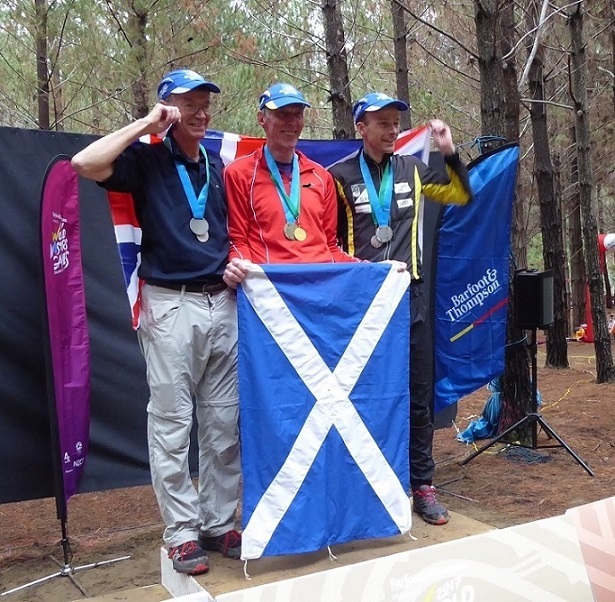 The photo below is of the three GB medalists – David May M70 Silver, Robin, Nick Barrable M40 Silver. Of the other 3 Reivers ? All 3 were reasonably happy with their Sprint races before things got much more tricky in the forested sandunes of the long distance races. Douglas didn’t travel to the Final due to a very sore back, Rob got his monies worth in the tricky terrain, and Lindsey managed to qualify for the A Final despite a turned ankle but an upset stomach in the Final scuppered her run. The whole World Masters experience was great (despite the problems mentioned above). 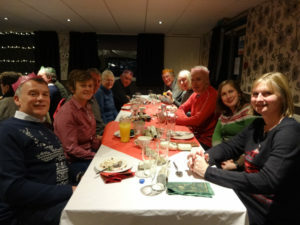 Douglas organised a group meal one night which involved a ferry across Auckland Bay. The sprint qualification race was extremely tricky, the sprint final was less tricky until a sting in the tail on different levels, all three long races were in lovely undulating and runnable woodland – the danger was running too fast. We all had different goals and in the main we weren’t too far off those. After a week of glorious sunny weather we were unfortunate to have rain for the Final day. Copenhagen in July 2018 ! This entry was posted in Selkirk Hill 17th May 2017 on 01/05/2017 by Lindsey. It was good to see a healthy turnout at our December event on the Vertish Hill, not quite as high as recent local events but at this time of year that’s probably to be expected. Thanks to all who came along and I hope you enjoyed it, the weather was certainly kinder than last year. This was my first attempt at planning and I really enjoyed the experience, possibly helped by being on an area I knew well from my days attempting to play golf and spraying balls all around the course, however I still managed to find some spots I’d never been before. It was certainly made more enjoyable by all the help and advice I received from Lindsey throughout the process for which I am very grateful. As well as mentoring me Lindsey also acted as controller, helped put out controls and did the registration and results, Rob helped set up beforehand and also got controls in along with John, Paul, Robin, James and Sam. Many thanks to you all. The yellow course had given me problems with the lack of a path network but both Ellie and Seb Darlow seemed to make light work of it with Ellie romping round in first place with an impressive time of 12:10. I was spoilt for choice when making up the Score course and it was good to see a wide variety of routes taken with the first four all starting with a different control. John Tullie emerged a clear winner being the only person to get all the controls with nearly five minutes to spare. 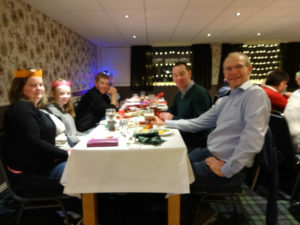 Finally, thanks to Hawick Golf Club for closing off their course for our use and putting on an excellent meal for our Christmas dinner. This entry was posted in Selkirk Hill 17th May 2017, Social Events on 11/12/2016 by Lindsey. Unfortunately the Orange and Light Green Courses had a control box that didn’t work. This was Control Box 110 – Control 4 on the Orange Course and Control 2 on the Light Green Course. Apologies if I’ve got a name or an age wrong amongst the Juniors, especially where pairs where involved. Another excellent turnout for this event, with close to 40 competitors, pairs or families – not quite as high as Selkirk Hill but encouraging for a cold November day with the alternative attractions of warm houses and a rugby international to watch in the afternoon. This was my first attempt at organising and planning, and it was difficult to gauge how long the courses might take, or how easy people would find them. In the event, there was a good spread of times on all courses, and people seemed to have enjoyed themselves. Well done to the winners – Ellie Darlow winning by a healthy margin on Yellow, Anne Smith taking Orange, and John Tullie making short work of Light Green. The only down side was the malfunctioning control (110) on Orange and Light Green, which was annoying – but maybe it’s good for us to be reminded from time to time of how to punch manually when the electronics let us down. I’m very grateful to Robin and Rob, who gave lots of input and advice on course design and the choice of control sites, and particularly to Robin as Controller, and for helping to re-plan the courses when we discovered (two days before the maps were due to be printed) that the chosen site for the last few controls and the finish was now out of bounds owing to forestry operations! Hence the rather circuitous route back to the car park up a steep slippy hill. Thanks also go to Duncan, for setting up and manning registration and download, and getting the results up in double quick time despite the problems with the faulty control; to Mhorag for putting on soup and rolls and wonderful home baking – perfect for a cold November afternoon; Rob for additional help with recce’ing the courses and setting out controls; Lindsey for instruction in the delights of the CONDES course planning software and for some minor amendments to the map; Ian, James, Robin, Rob, Pauline and Cathy for bringing in controls and tidying up the course; and of course to Buccleuch Estates for permission to run the event in such beautiful surroundings. Thanks also to Ian for running the compass training course before the event. This entry was posted in Selkirk Hill 17th May 2017 on 19/11/2016 by Duncan. 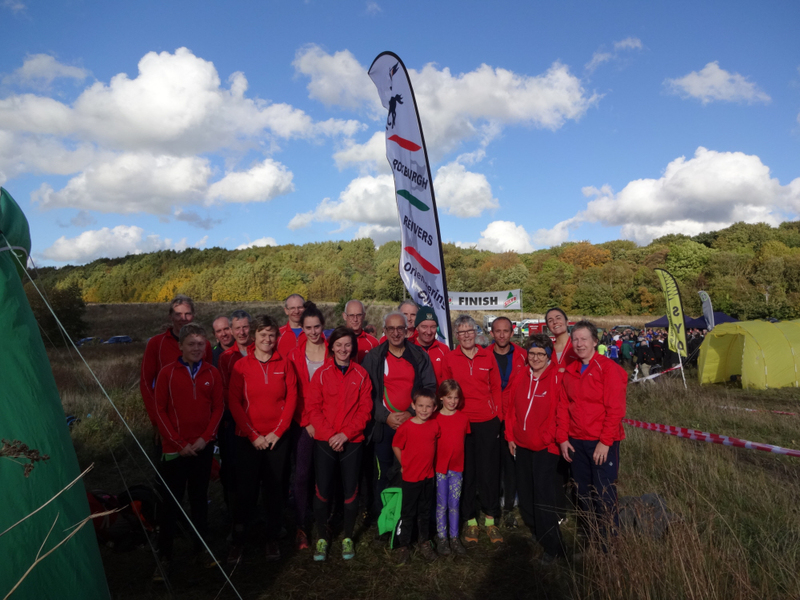 There was a wonderful turnout of competitors today, Saturday 22nd October, for the event on Selkirk Hill. We got the best of the weather as the rain stopped just after Susan, Rob and I arrived at 9am to put out the controls and only started again just after we drove away at 4:30pm having collected in all the controls. We were delighted to see the cubs, scouts and explorers as well as Mums and Dads from Melrose and Lauder. Thanks to Mhorag Heger for firing them all up with the enthusiasm to come along and get a taste of orienteering. 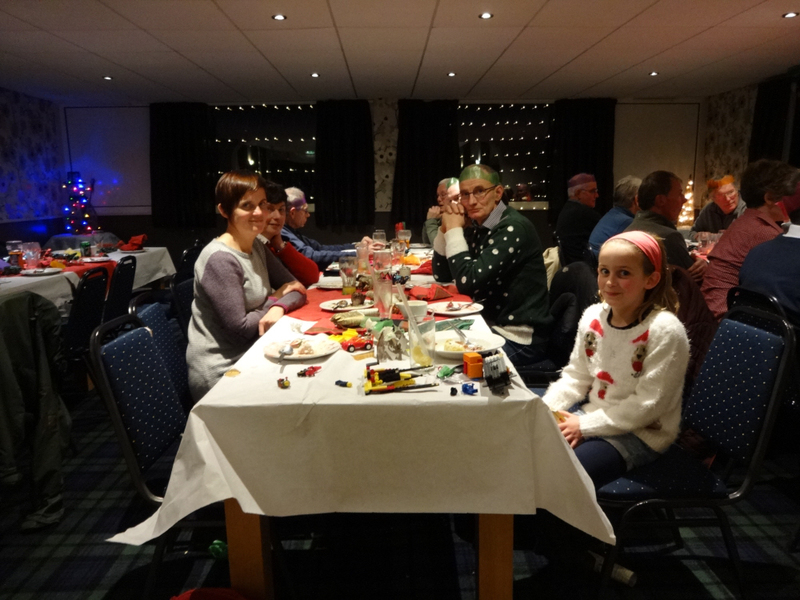 We hope we have whetted your attitude for more and look forward to seeing you all at Bowhill in November. For the first time since I have been a member of Roxburgh Reivers we had more competitors on the Yellow course than any other course. There was also just one competitor less on the Orange course than there was on Light Green. The numbers meant we had to use a lot of non-waterproof maps with map cases on on the Yellow course and one or two on the Orange course but I’m pleased to say we never ran completely out of maps for the courses people wanted. I think we may have recycled a couple of maps. It was good to see a very sturdy push chair going round the Yellow course. You are never too young to start orienteering and you are never too old as I have been to competitions where a W90 was competing. I planned the Yellow course to aim for a 15 minute winning time and three people got inside that. I was looking for a 30 minute winning time for the Orange and about 35 for the Light Green so I was delighted to see the first place runner in each of those classes coming in very close to the target time. The Orange and Light Green courses were planned to give a choice of routes between the controls and the Light Green planning aimed to send competitiors across the path network on the direct route rather than along it. There are a lot of paths on Selkirk Hill so I didn’t always achieve the aim. On Selkirk Hill, experience has shown that it is prudent to gripple the controls to a secure piece of tree or shrub and that meant that some of the controls were slightly further into the thorn bushes than would have been ideal. Sorry about that. Congratulations to the winners. Ian Bethune led the field home on the Light Green finishing in front of all the Roxburgh Reivers with an excellent time of 34:42. Keith Murray was just 11 seconds behind. On the Orange course Paul Morris finished on 31:06 just over a minute and a half ahead of Colin Rooney. The honours on a closely fought Yellow course went to Joseph Kirk on 12:52 just over a minute ahead of Cameron Rankine. Looking at the split times on the Light Green we can see that Patrick Heger was going well until 10 to 11 and 11 to 12 where he was passed by both Keith Murray and Ian Bethune. Looking at the map again this evening, I think I put the control on the east side of the knoll at 12 rather than the west as it says on the control description. Oops! Keith was actually fastest to the last control but then lost the lead to Ian on the run in to the Finish. I wonder if Keith and Ian went different ways. Finally my thanks go to my wife Susan and Rob Cranston for helping put out the controls in the morning. Thanks to them again plus Keith Murray and Eb Rooney for helping to collect them in after the event. Eb Rooney is planning the event in Bowhill on Saturday 19th November. Start times again are 1pm to 2pm. We had 43 competitors or pairs of competitors today. Let’s see if we can get well over 50 towards 75 at Bowhill. This entry was posted in Results of RR events, Selkirk Hill 17th May 2017 on 22/10/2016 by Duncan. A good turnout of members travelled to South Yorkshire at the weekend to compete in the final of this years CompassSport Trophy, having qualified at Stirling way back in March. The venue, Tankersley Woods, was used for coal and iron mining before being bombed during World War 2 and is now a wooded area of many paths, many pits and many brambles ! The day started very wet and the club tent putter-uppers got a soaking but the weather eventually cleared to sunny with blue skies. Unfortunately the teams results weren’t quite so sunny and most of us failed to cope with the terrain as well as we would have liked, so the team finished 5th from 12 on the day. Highlights for the team were 2nd place for Kirstin Maxwell and 3rd place for Pauline McAdam. 8 year old Ellie Darlow was the only winner on the day, taking top spot on the Yellow course. This entry was posted in Selkirk Hill 17th May 2017 on 17/10/2016 by Lindsey. Everyone has been credited with the control that was AWOL for a while. Thanks to Andrew Armstrong for Planning/Organising. This entry was posted in Selkirk Hill 17th May 2017 on 20/04/2016 by Lindsey.